DarazMobile Week 2018 is just around the corner, with discounts of up to 70% off on some of the most globally renowned mobile phone and accessory brands, aiming to provide everyone in the island, no matter what the budget, access to the smart phone of their digital dreams. Daraz offers the perfect opportunity for allwho are on the lookout for an upgrade or for those searching for the extraspecial gift for a loved one to log on. Starting with Samsung on the 18th of June followed by Apple, Huawei, Nokia and Energizer,each day of the week will feature the hottest deals from the brand of the day. Along with these deals each brand will also enjoy its own dedicated flash sales from 10AMto1PM and 7PM to10PM on its most desirable handsets at the most exclusive prices. Mega Deals for the most sought after mobile phones and accessories will also run throughout the week providing customers with all the time they need to shop to their hearts’ content. “Being in the age of life on-the-go, owning a premium mobile phone is imperative to making your life easy. 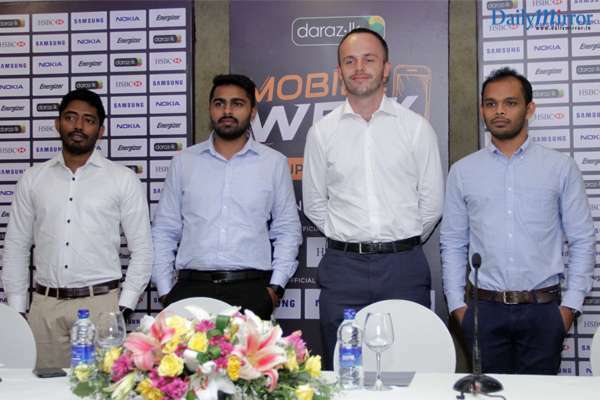 That’s why this assortment of heavily discounted mobiles during Mobile Week will be so generous that everyone’s tastes and needs will be accommodated and that is what Daraz hopes to bring, a little bit of happiness to everyone’s shopping experience”, said Mr. Bart Van Dijk, Country Manager for Daraz.lk. Joining Daraz in this venture is HSBC,offering customers discounts up to 20% off and 24 month 0% interest installment schemes. 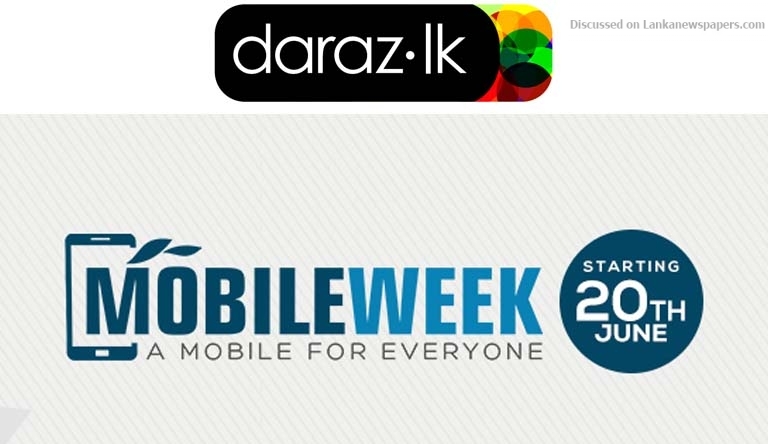 To add to the excitement Daraz will also have a vast array of promotions parallel to Mobile Week such as free shipping on app, and attractive discounts for first time buyers plus an assortment of cool vouchers redeemable through the app. In addition to offering the hottest deals on mobiles during Mobile Week, Darazalso offers exclusive discounts through their partners like Mc Donalds and Uber. Owned by Alibaba Group Holding Limited and following its launch in 2016, Daraz aims at building the most customer-centric online destination for customers to find and discover virtually anything they desire by giving them more of what they want – a vast selection, best prices, fast and reliable delivery and a trusted and convenient experience with a world-class e-commerce platform. ← SLFP Group-16 admits failure to make President quit govt.